David Schalko’s post-war drama “Big Bones” is headed to Series Mania after coming out on top at the Berlin Co Pro Series pitching event. Schalko’s gangster series in-the-making had already fared well in Berlin, landing an international distributor, and it is now headed to France after being selected by the Series Mania team following its Drama Series Days pitch. 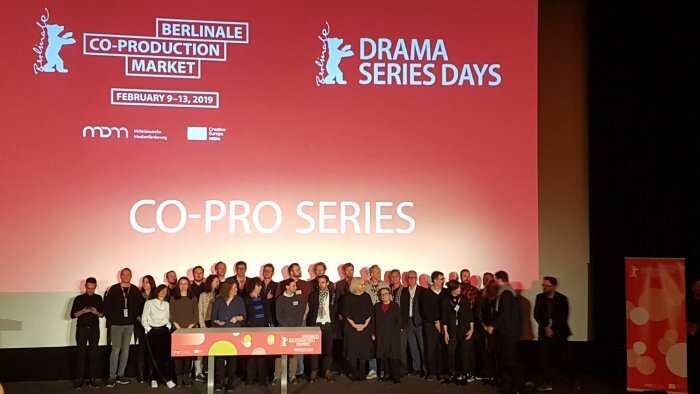 “Big Bones” was one of ten scripted projects being presented at the Co Pro Series 2019 event, part of the EFM and Drama Series Days, in Berlin. The organizers have an exchange whereby one series is chosen to be taken to Series Mania drama event in Lille and presented to finance and production partners again. In a lineup heavy on noir series and crime thrillers, Vienna-set drama “Big Bones” prevailed. Beta Film had already recognized its potential and swooped for international rights the day before the pitching session. “Big Bones” is a co-production between Austria’s Satel Film and Superfilm. Schalko, upon whose book the series is based, will be the showrunner and producer alongside Satel Film’s Heinrich Ambrosch and Superfilm’s John Lueftner. The latter two pitched the series in Berlin – describing it as “Once Upon a Time in Vienna meets ‘Peaky Blinders’ in the city of ‘The Third Man.’” Schalko was absent as he had another series, “M – A City Hunts a Murderer” launching at the Drama Series Days. The Berlin-Lille exchange also works the other way around and the team behind “Immunity” presented at the Co Pro Series 2019 event having been previously selected as standout project at Series Mania.